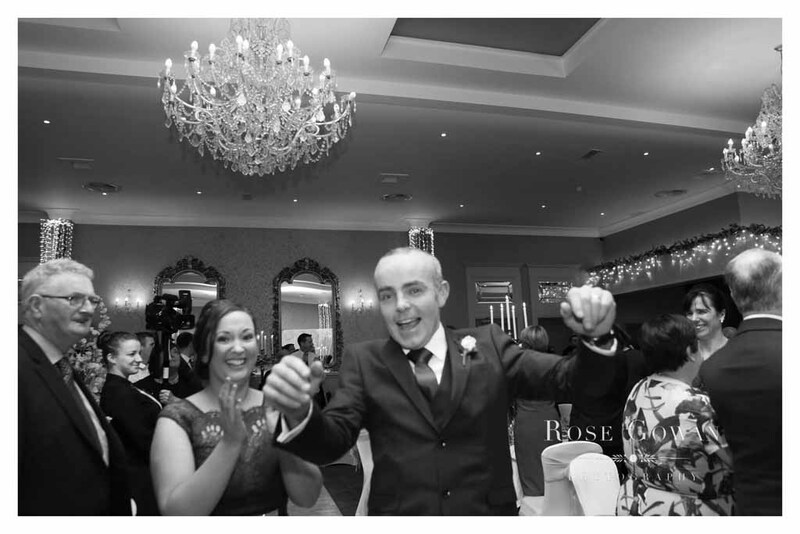 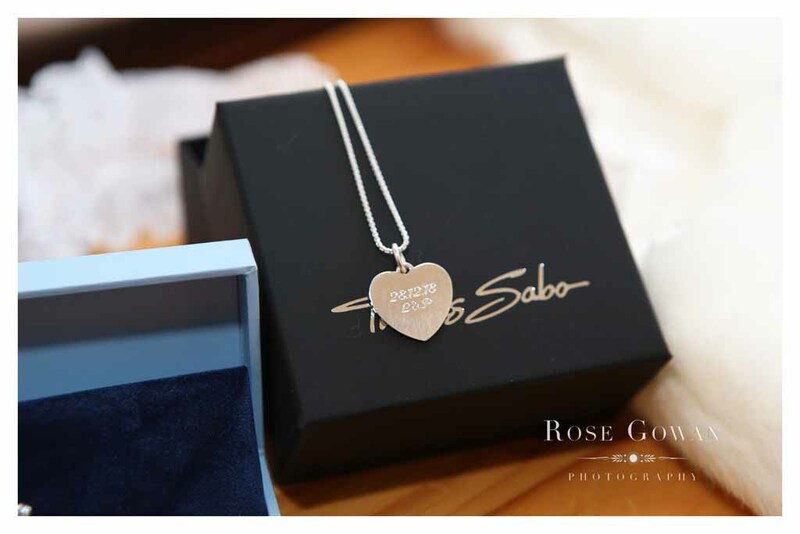 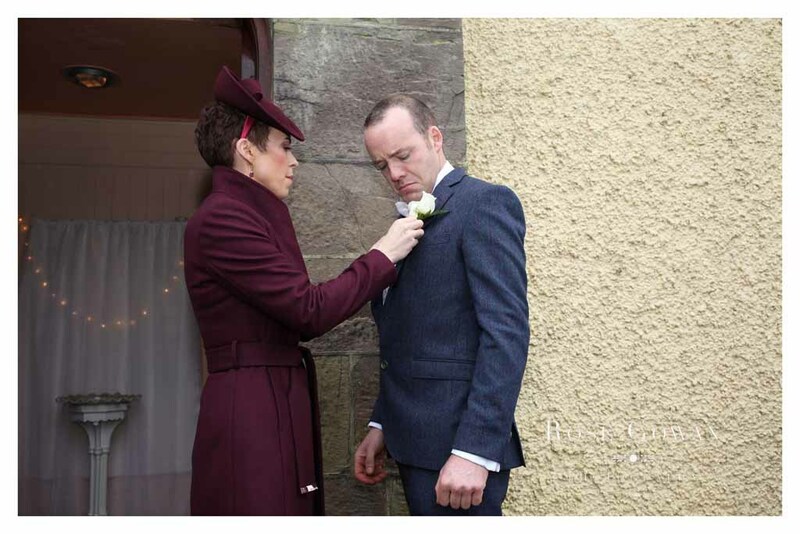 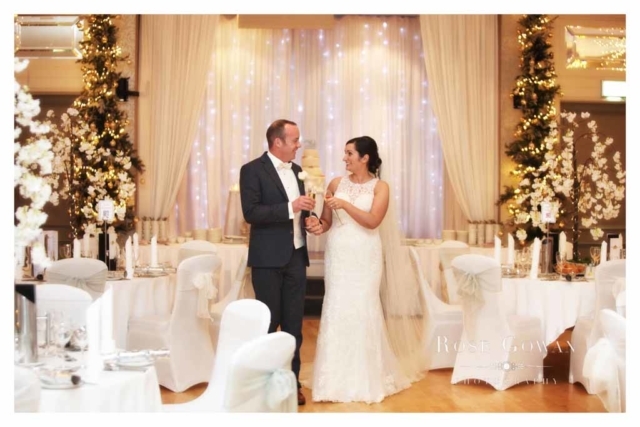 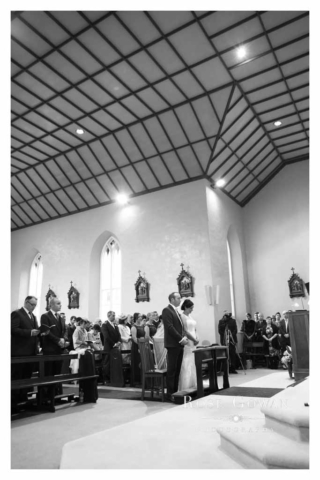 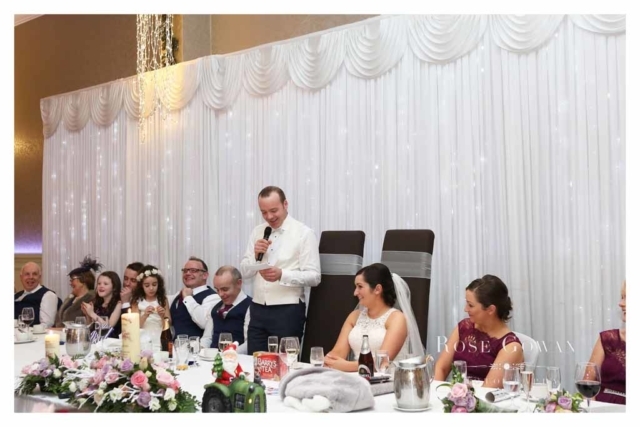 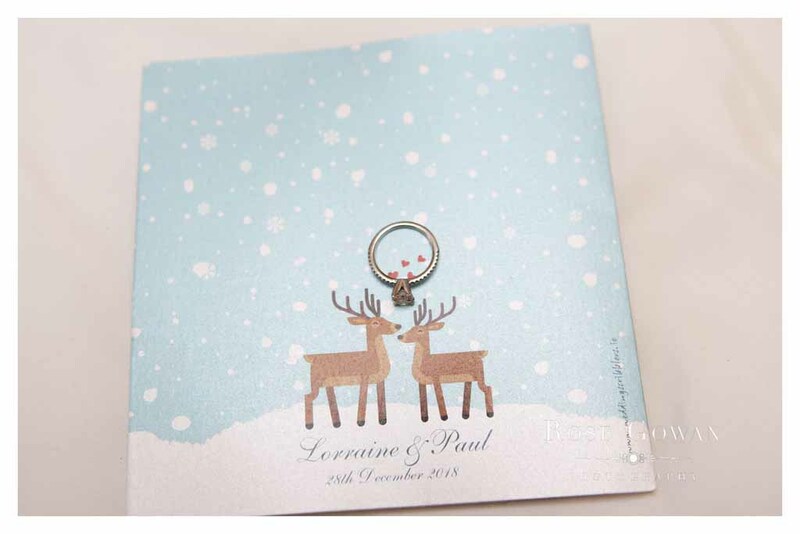 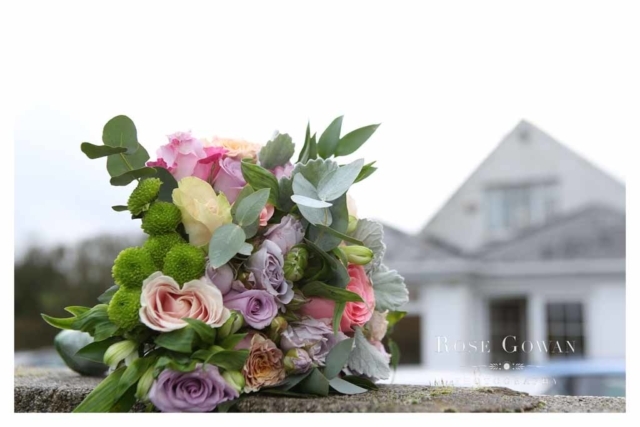 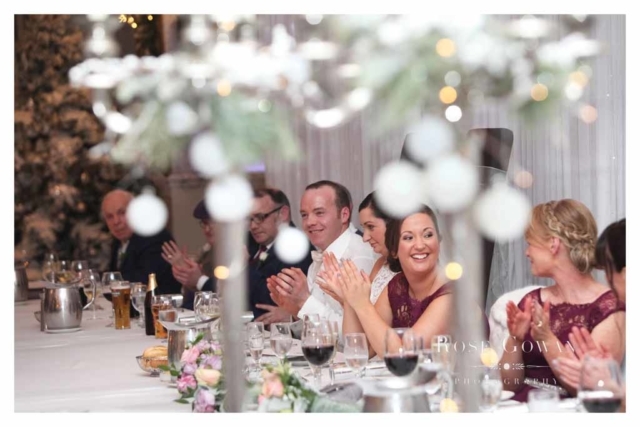 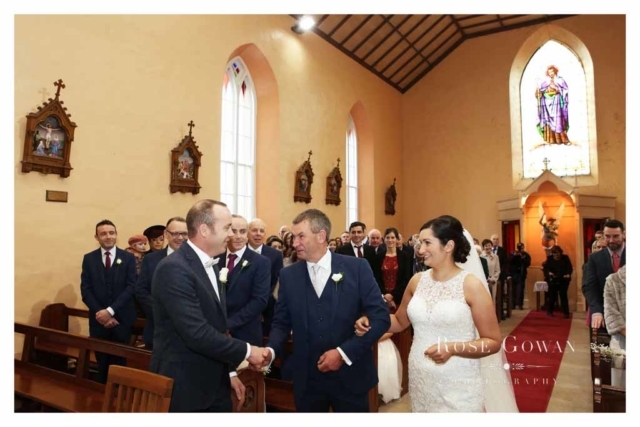 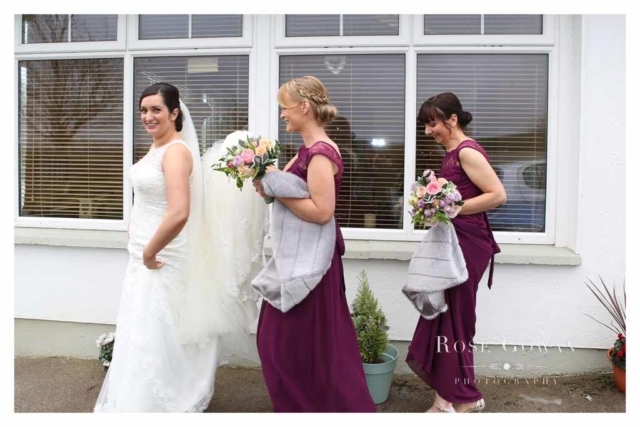 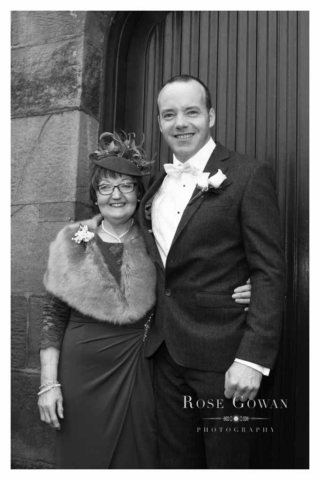 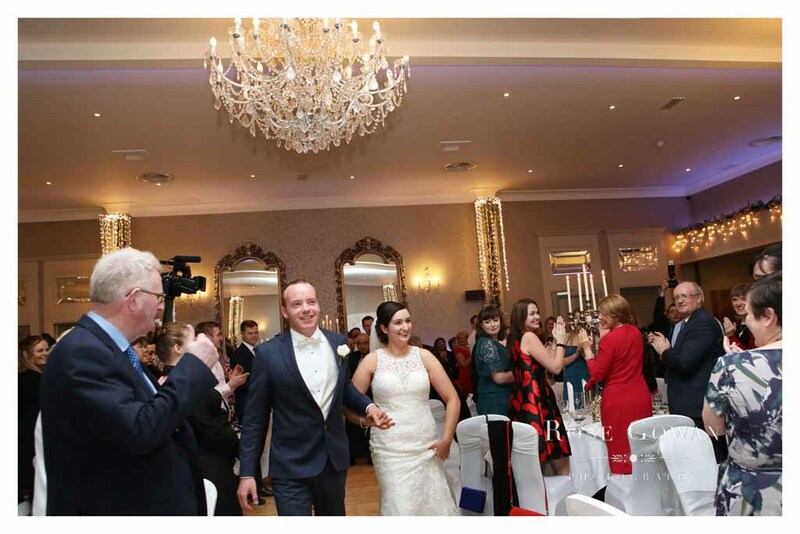 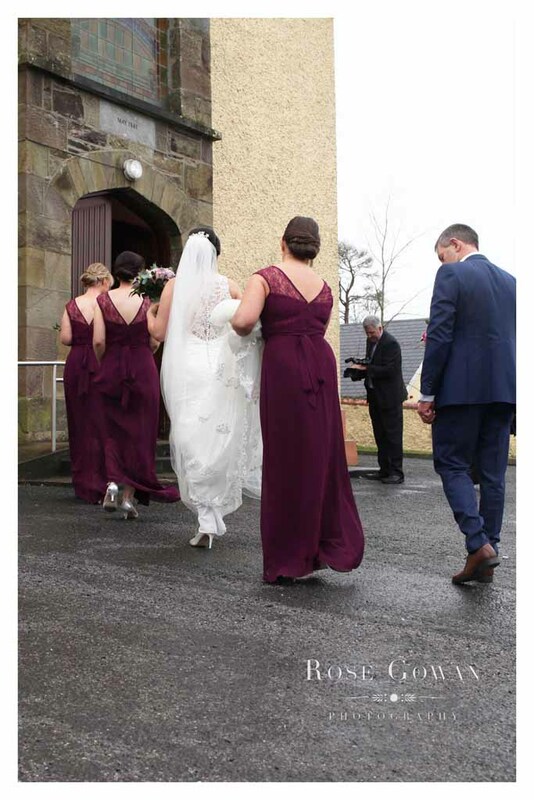 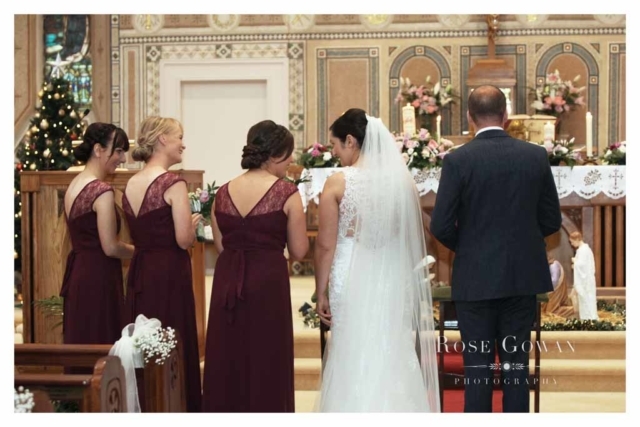 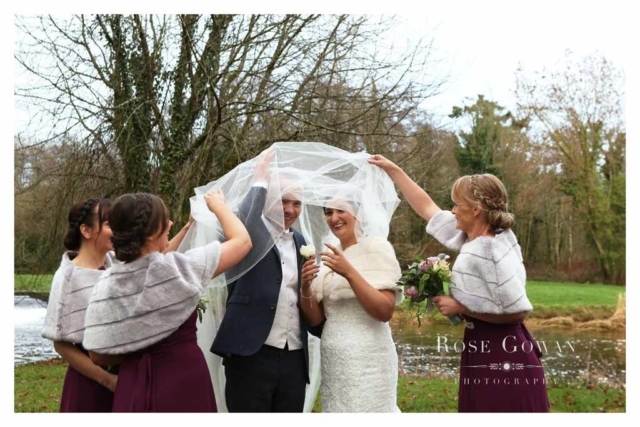 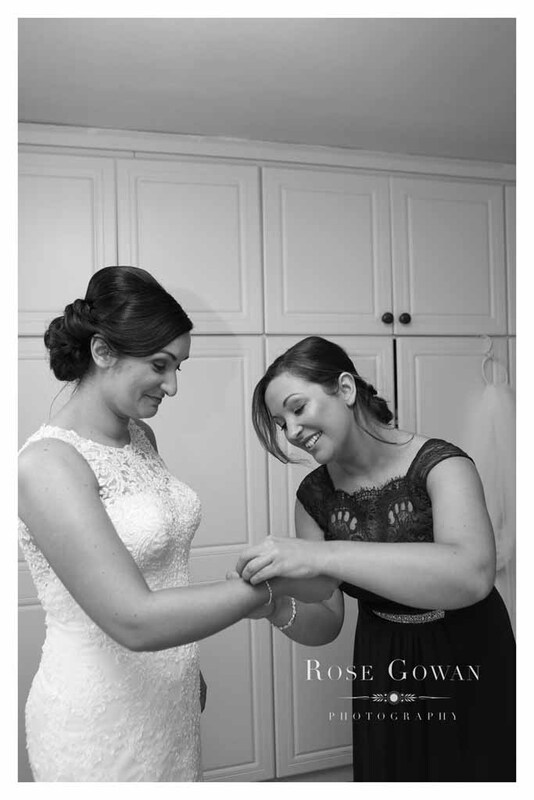 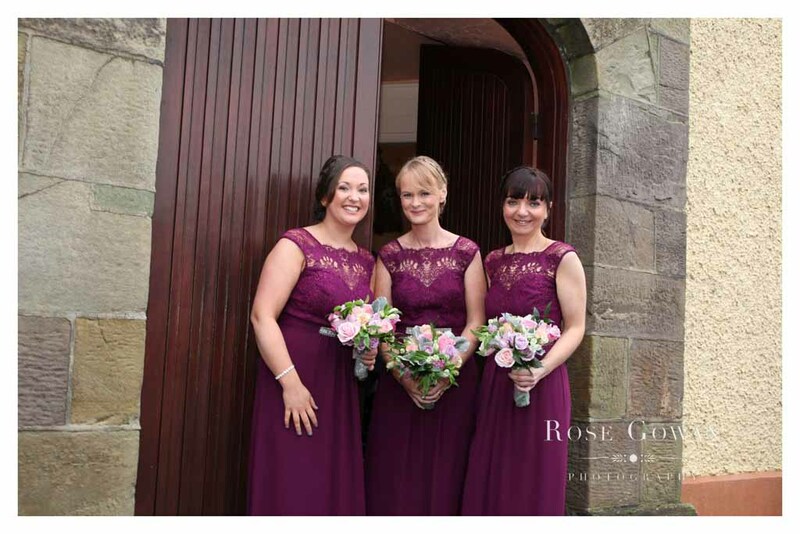 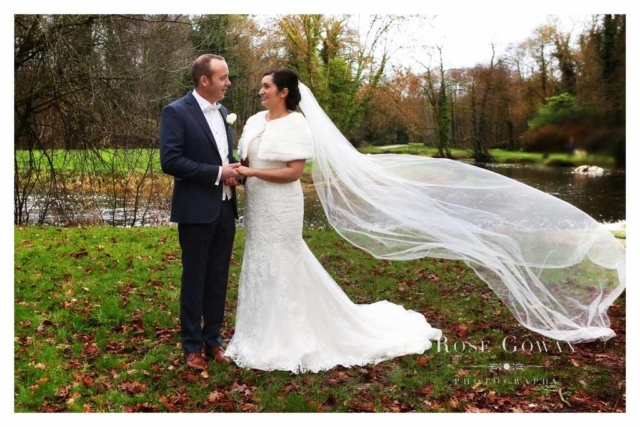 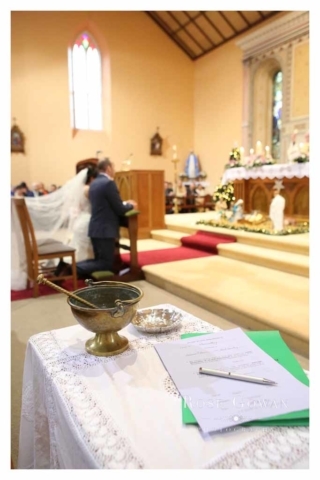 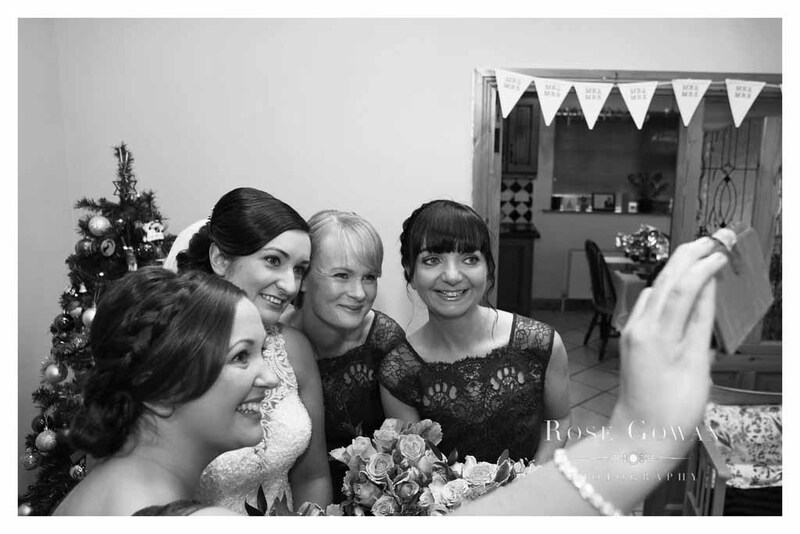 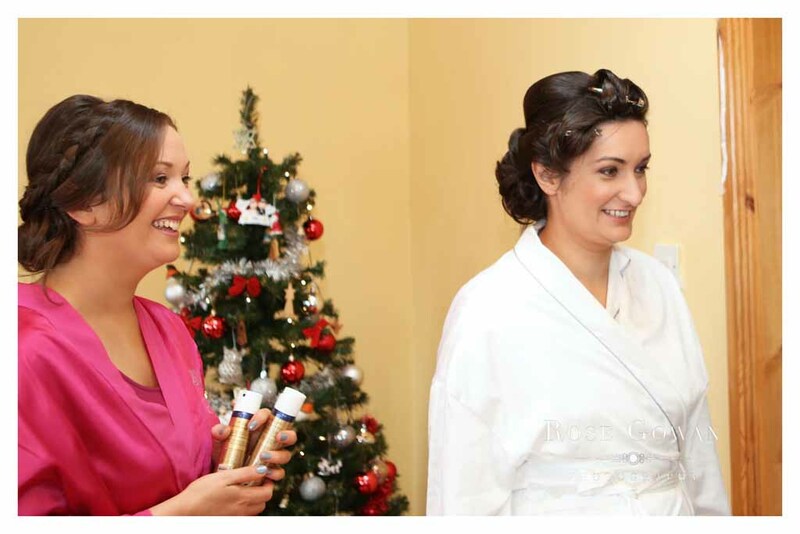 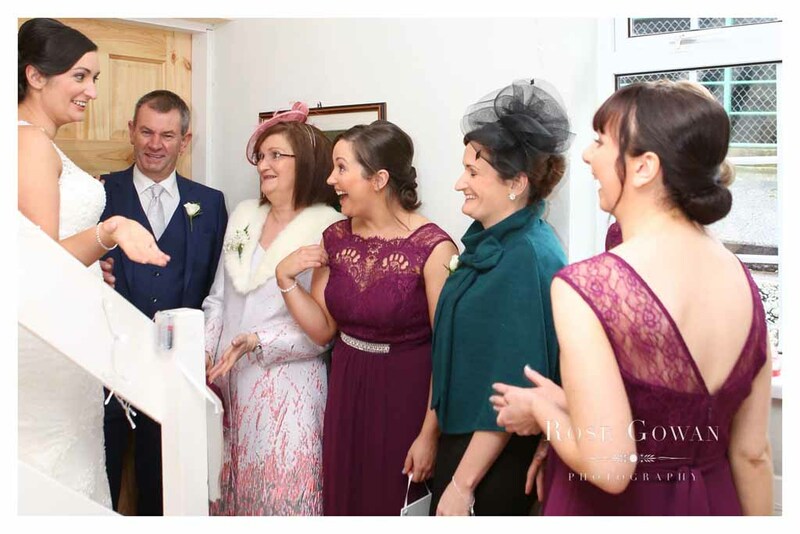 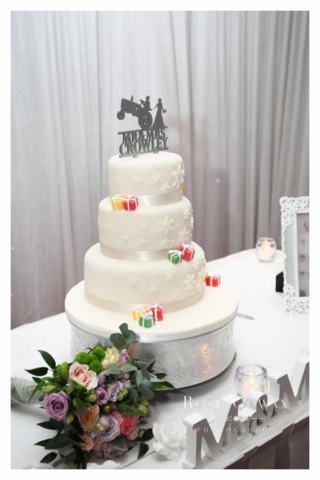 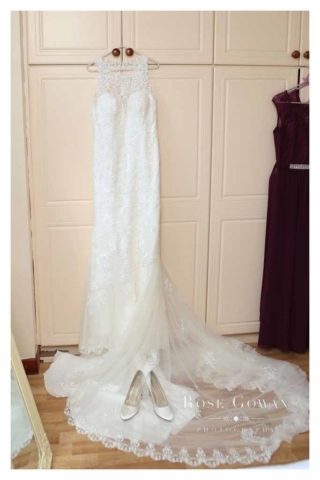 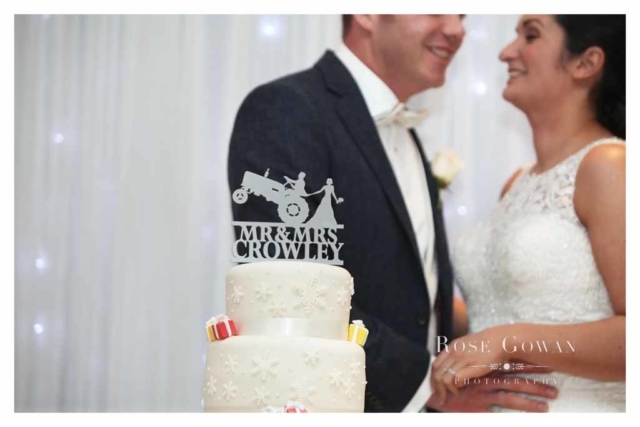 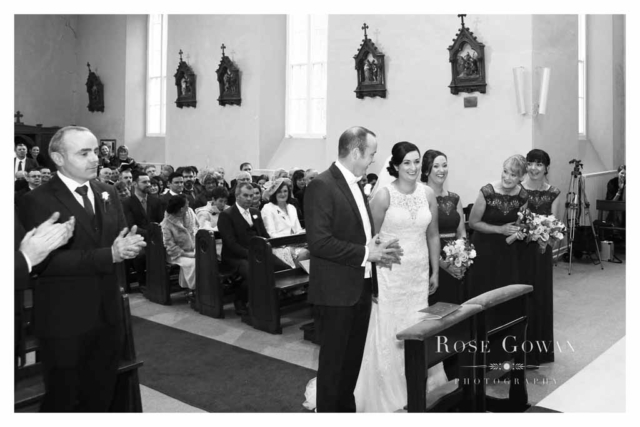 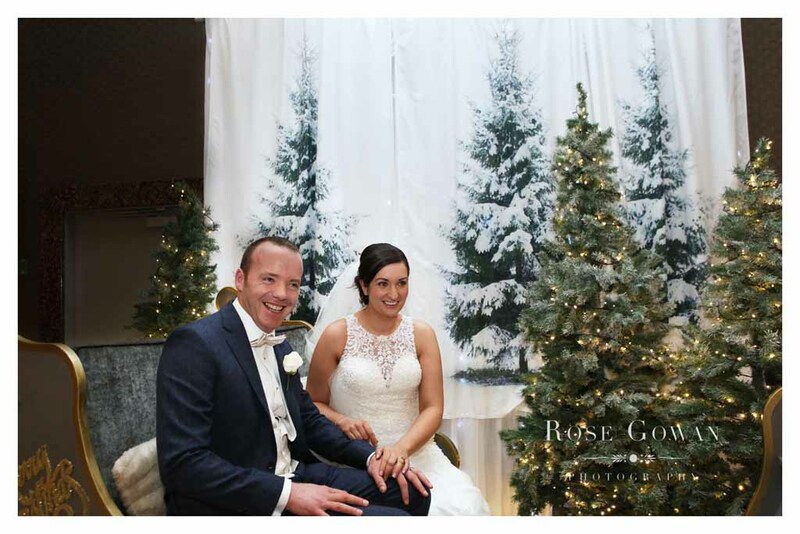 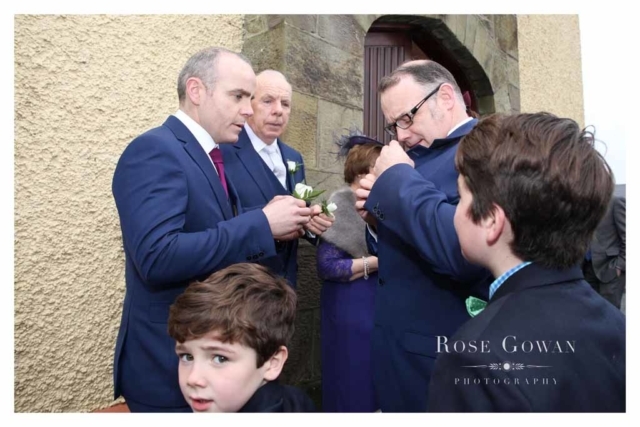 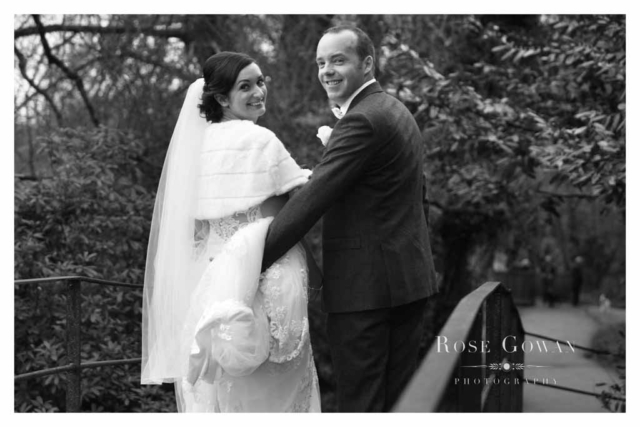 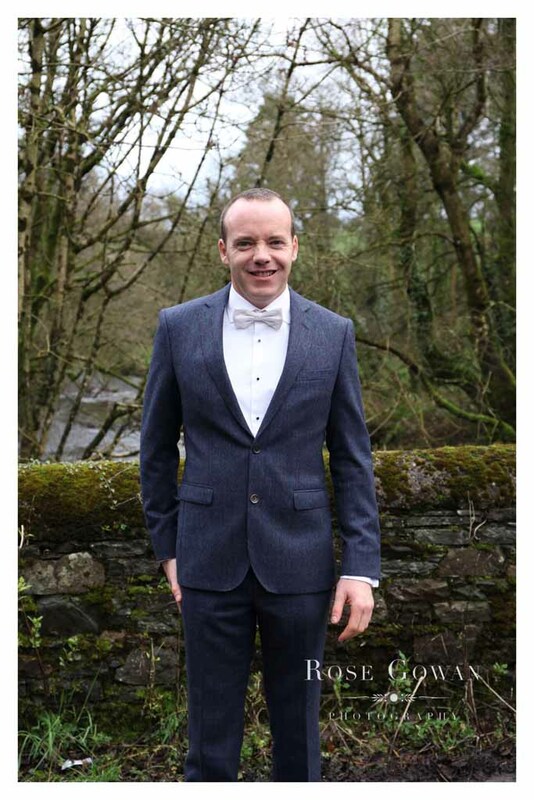 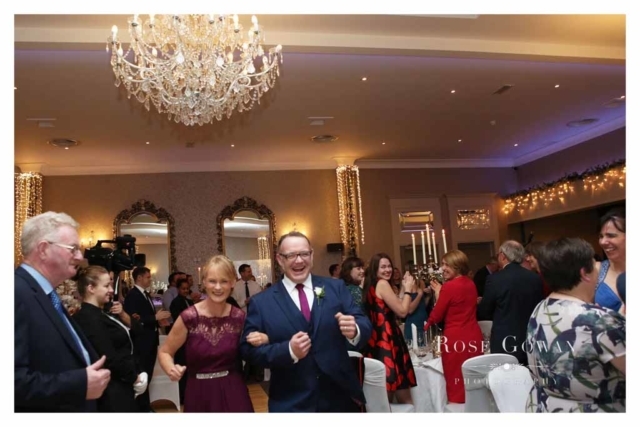 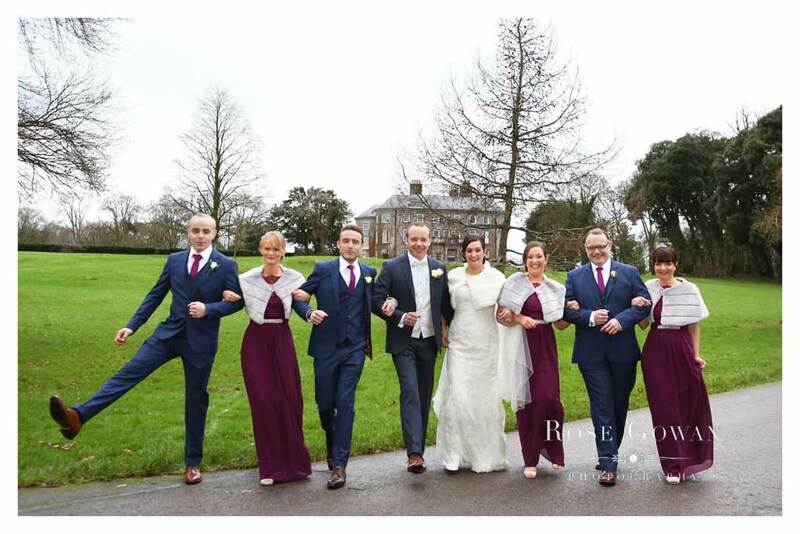 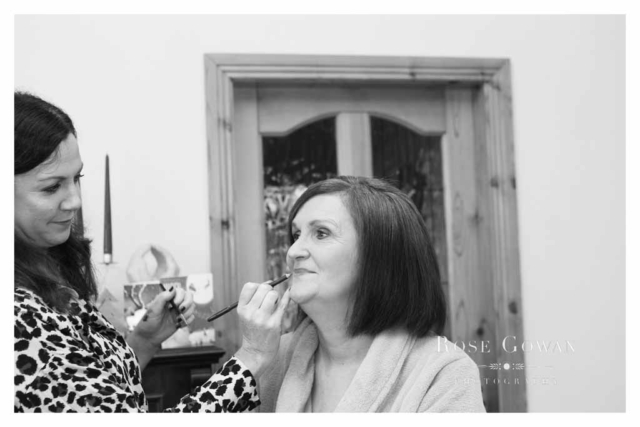 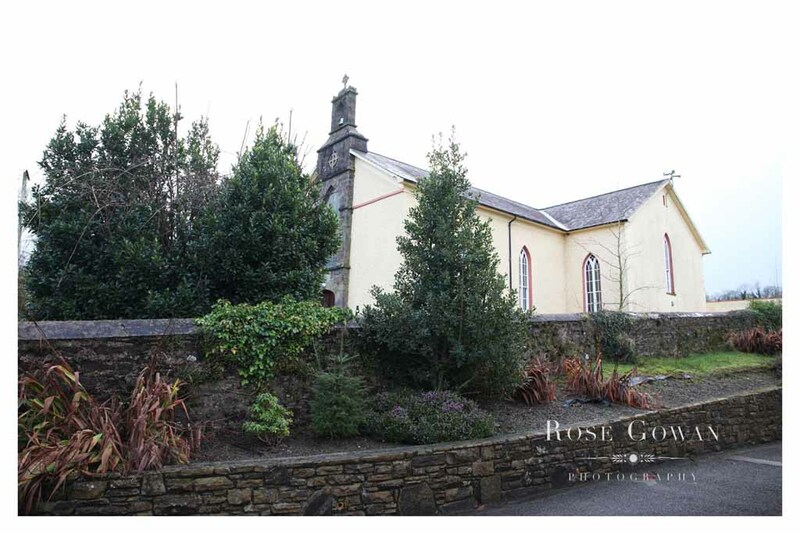 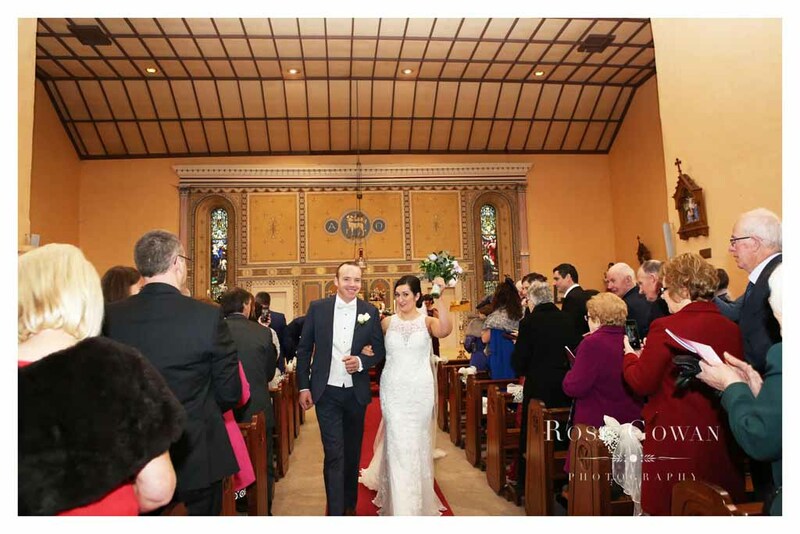 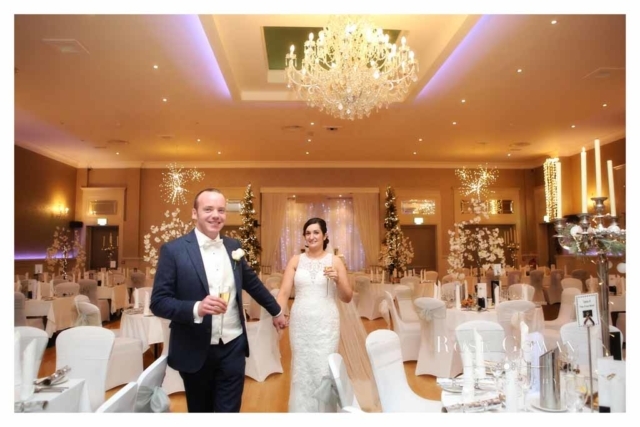 What a beautiful Christmas wedding – not the “Fairy tale of New York” – but definitely Fairytale of Mourneabbey. 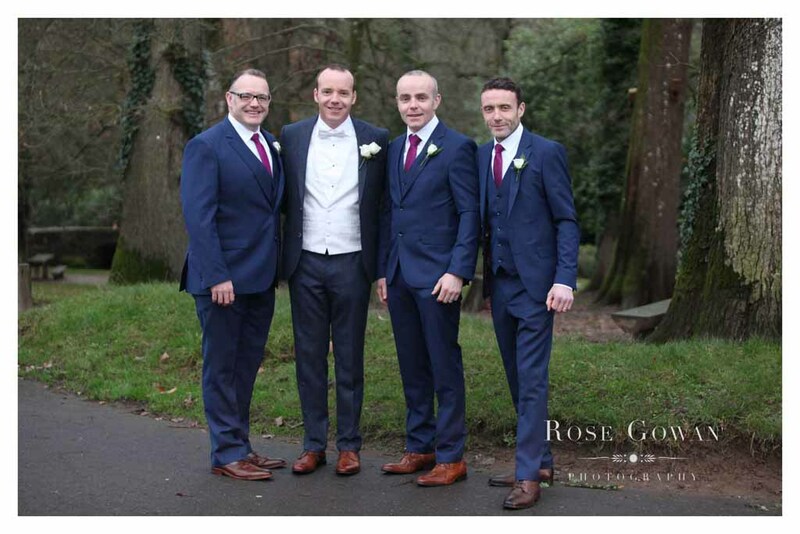 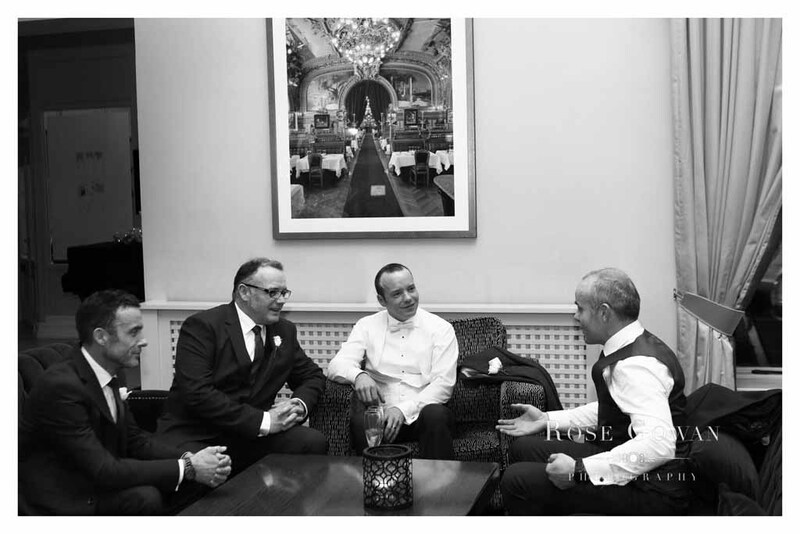 Paul was looking positively festive alongside his groomsmens brothers. 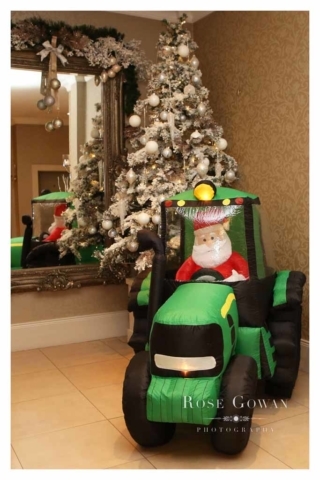 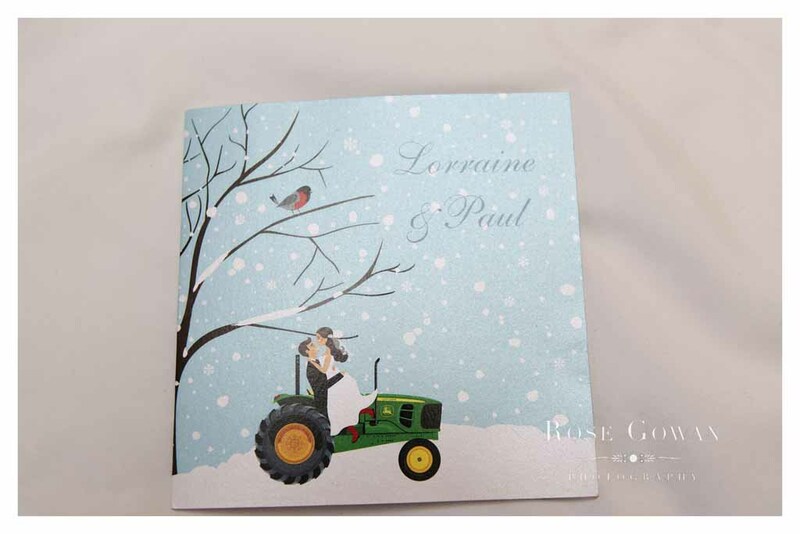 Our farmer groom has a tractor on the wedding invitations as well as an inflatable one later. 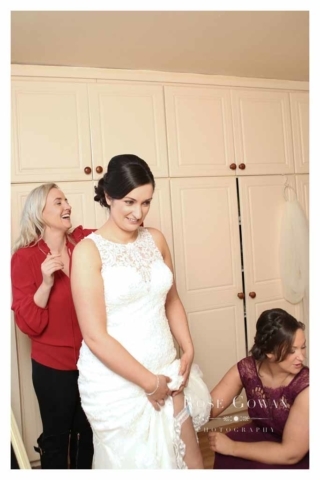 His gorgeous bride Lorraine was also “Rockin around the Christmas Tree” at home getting ready. Lorraine is new to the farming business but her family knew Paul was a keeper when she started watching “Ear to the Ground”. 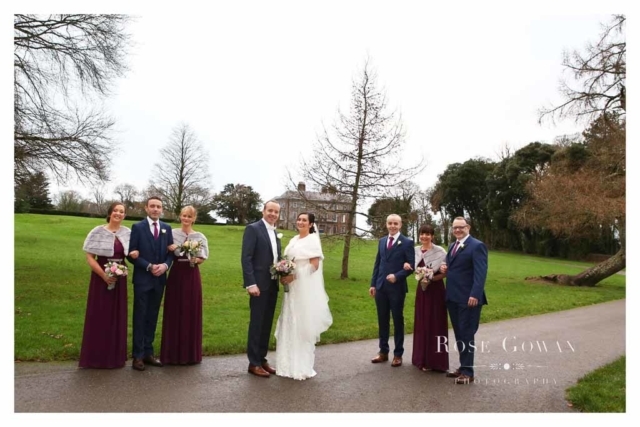 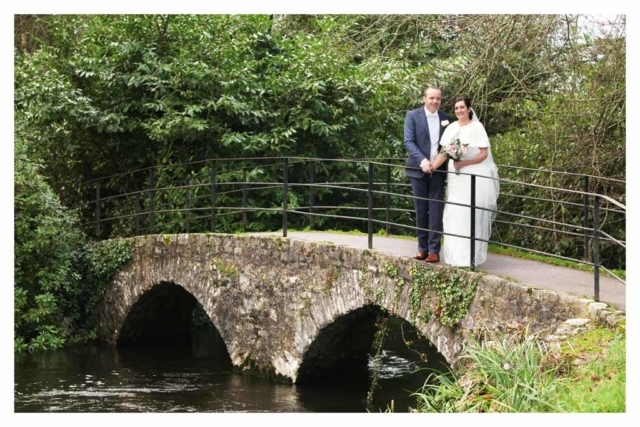 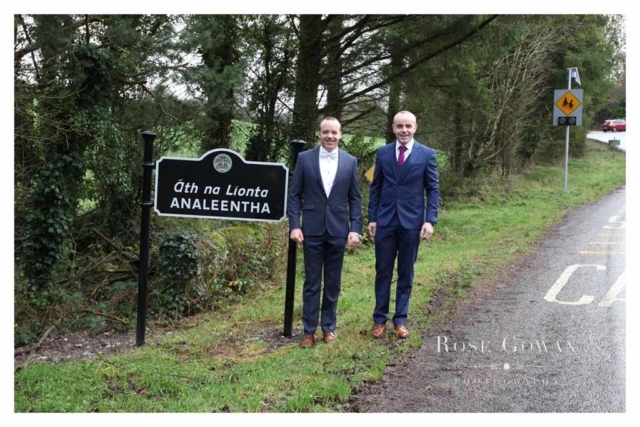 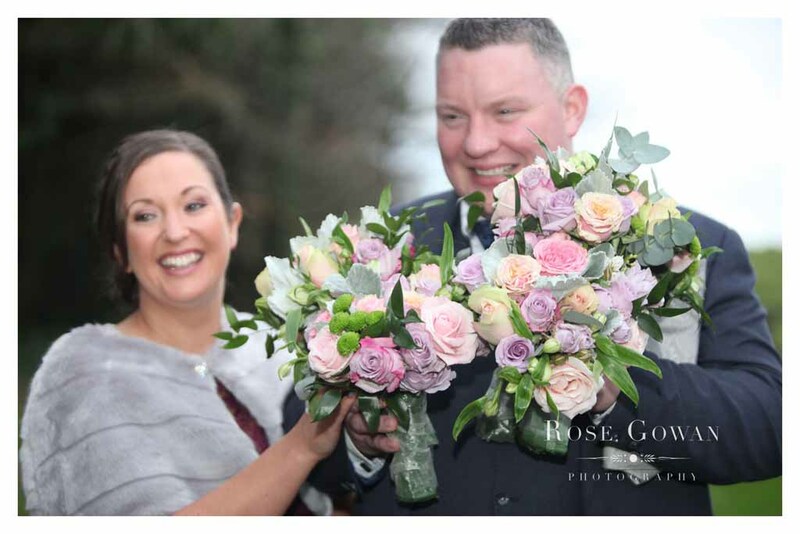 After the beautiful ceremony in Annaleentha, we travelled to Doneraile Wildlife Park. 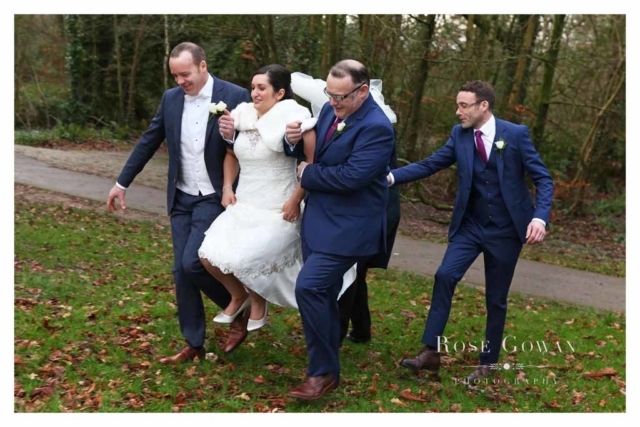 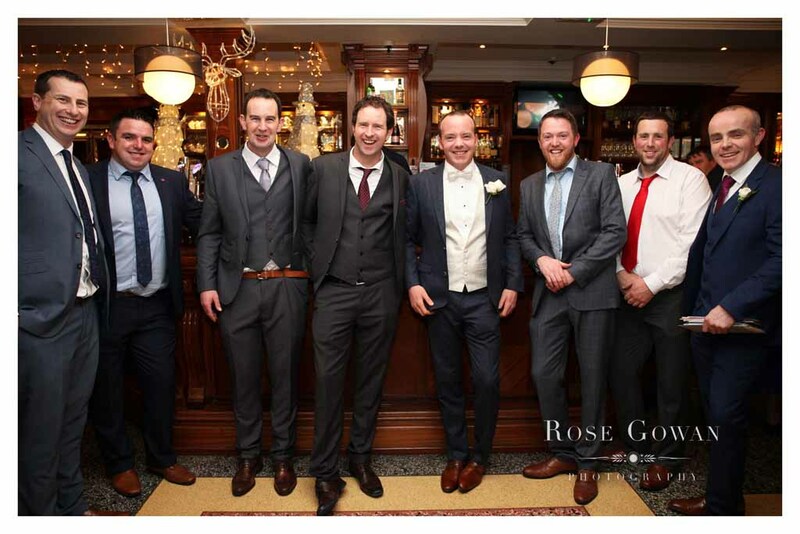 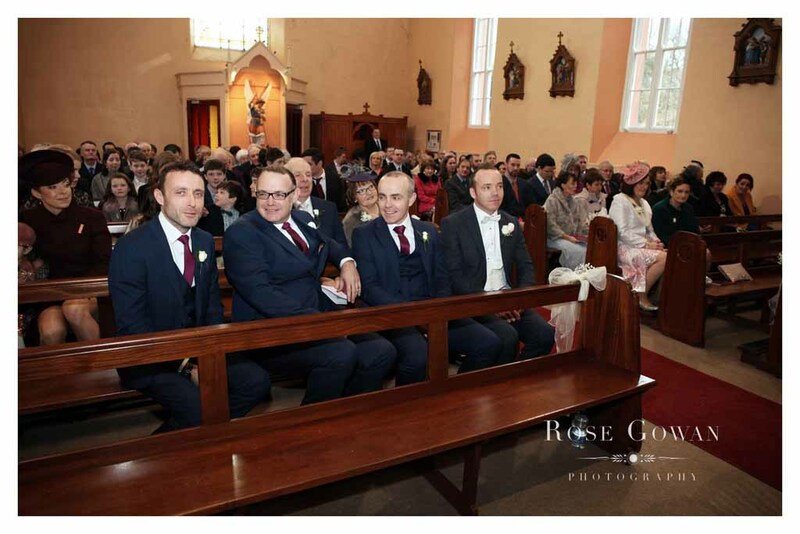 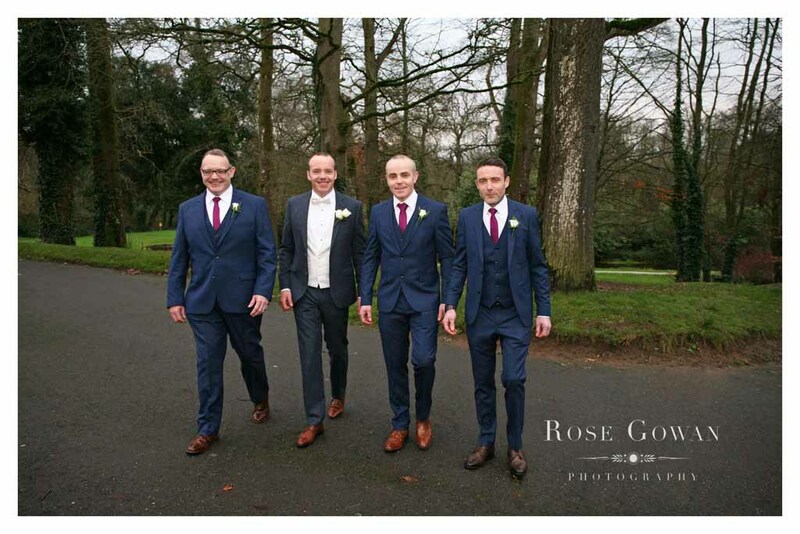 Special thanks to the super groomsmen who were on hand to whisk Lorraine over the occasional obstacle. 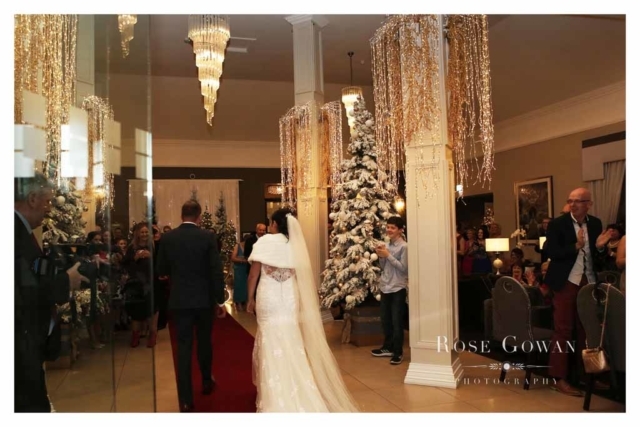 We then traveled onto the Killarney Oaks Hotel. 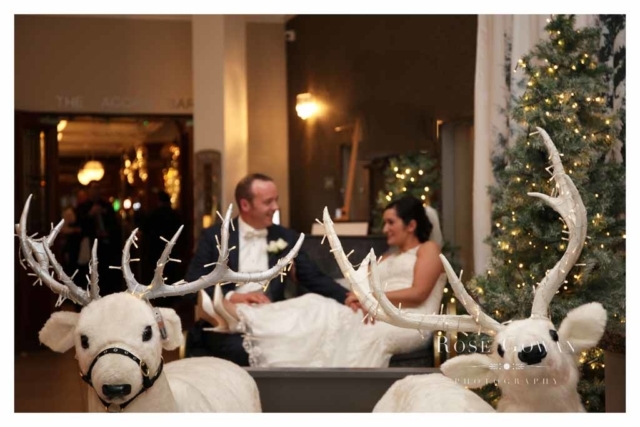 The Hotel really “sleighed” it. 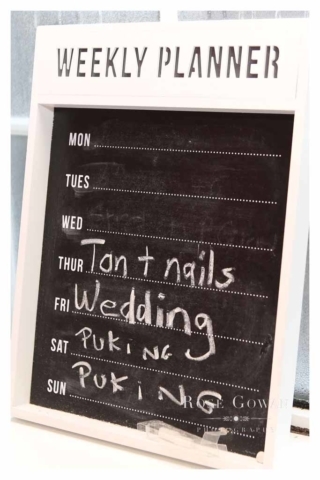 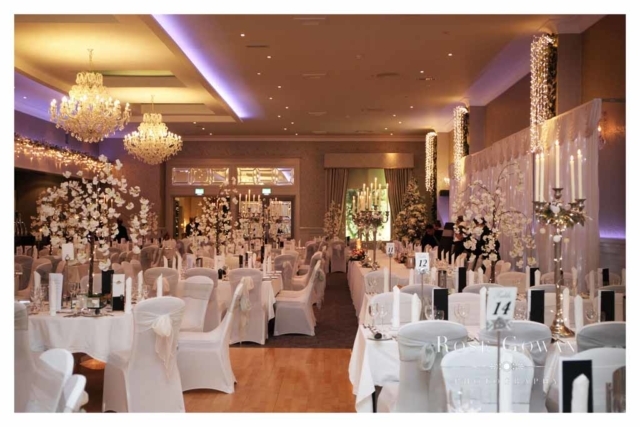 What a wonderful wedding venue. It was a beautifully decorated “Winter Wonderland”. 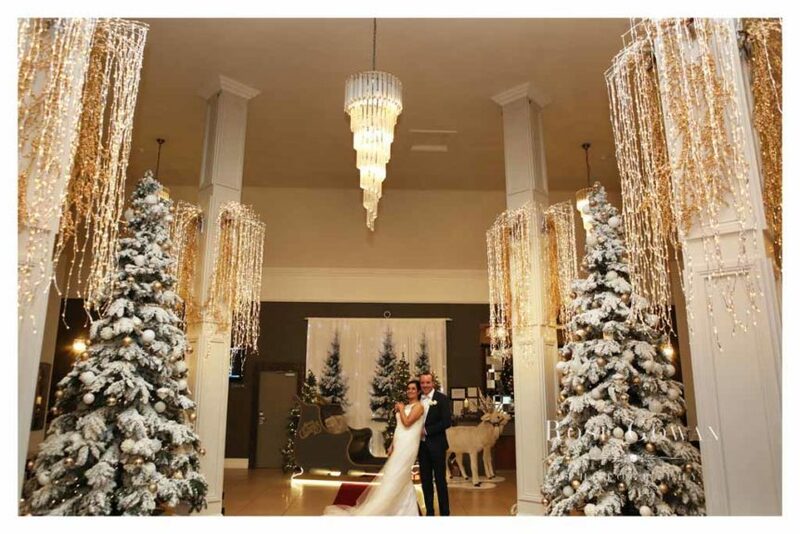 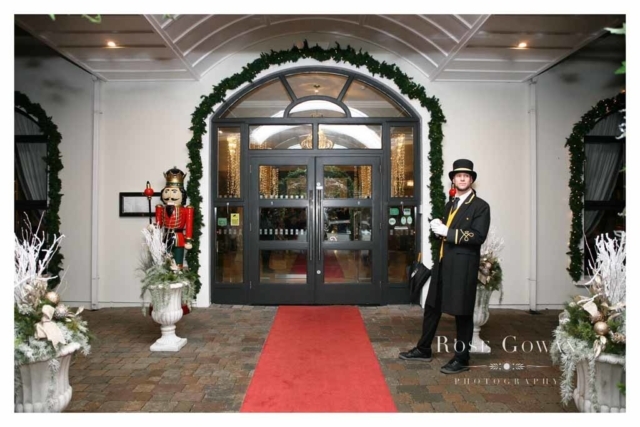 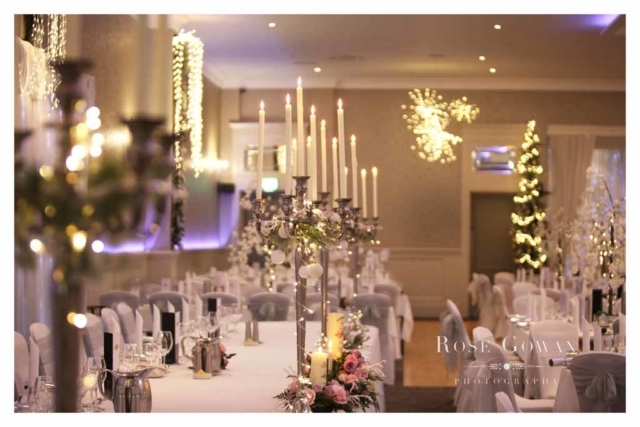 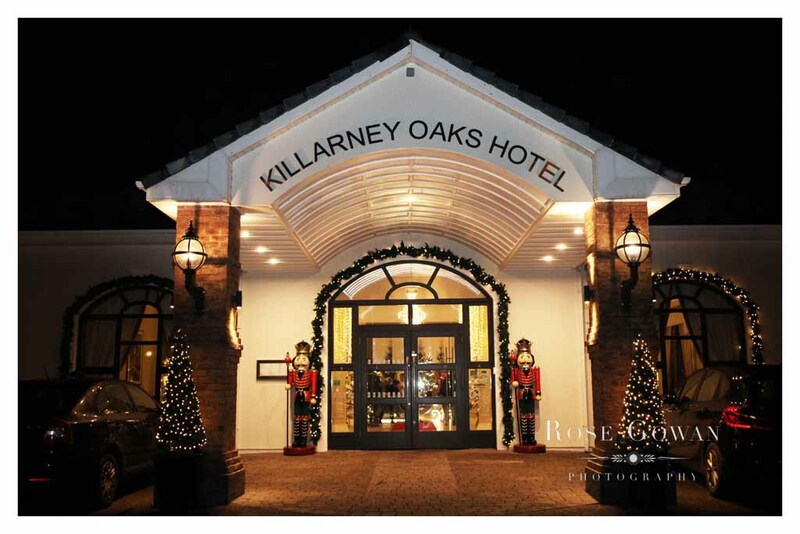 The Killarney Oaks Hotel had well and truly “Decked the Halls” out for the occasion. 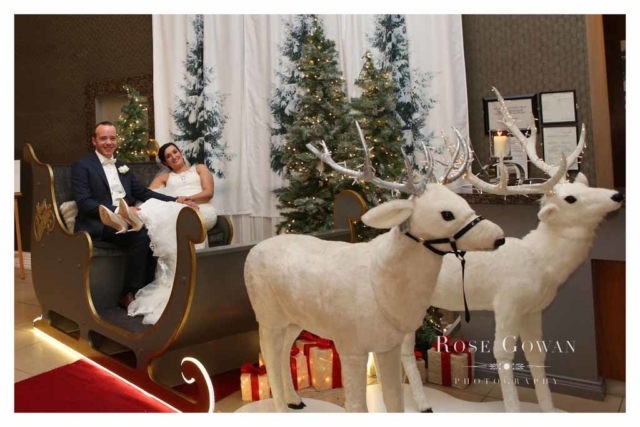 Lorraine and Paul even found time for a “sleigh ride” – Killarney Oaks style complete with reindeer. 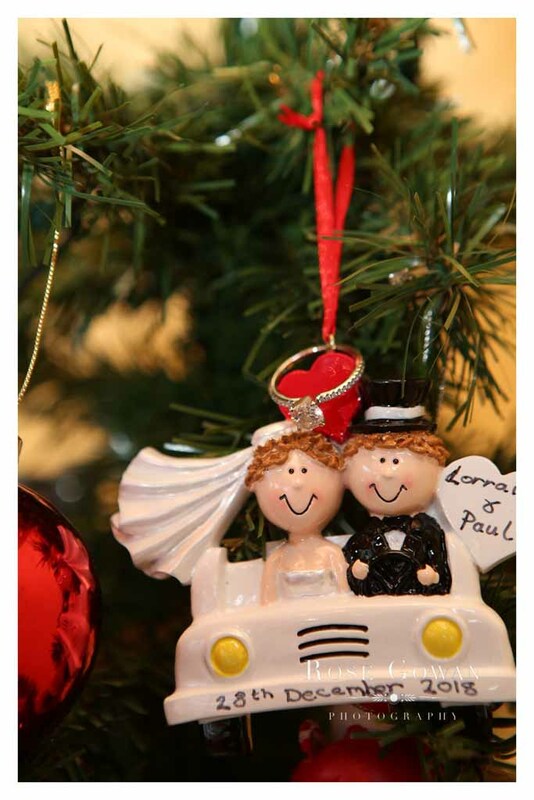 It was “Mistletoe and wine” all the way into the wee hours with yet more “Rockin around the Christmas Tree”. 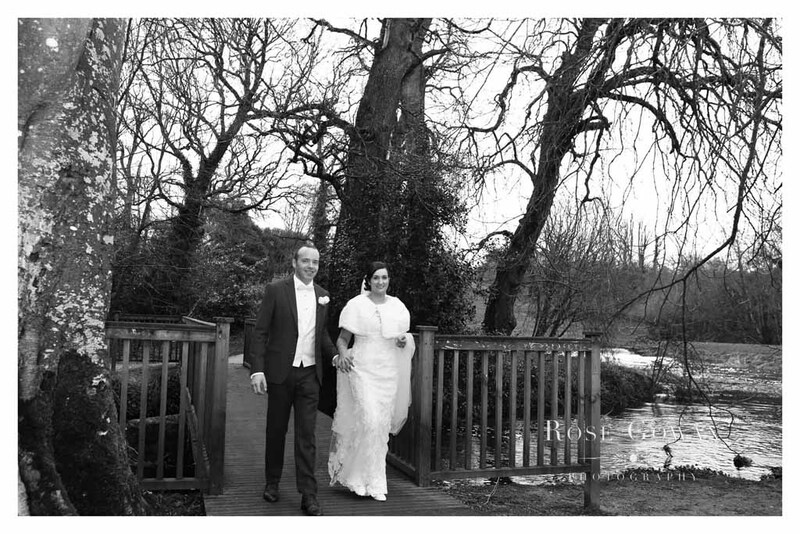 What a wonderful day. 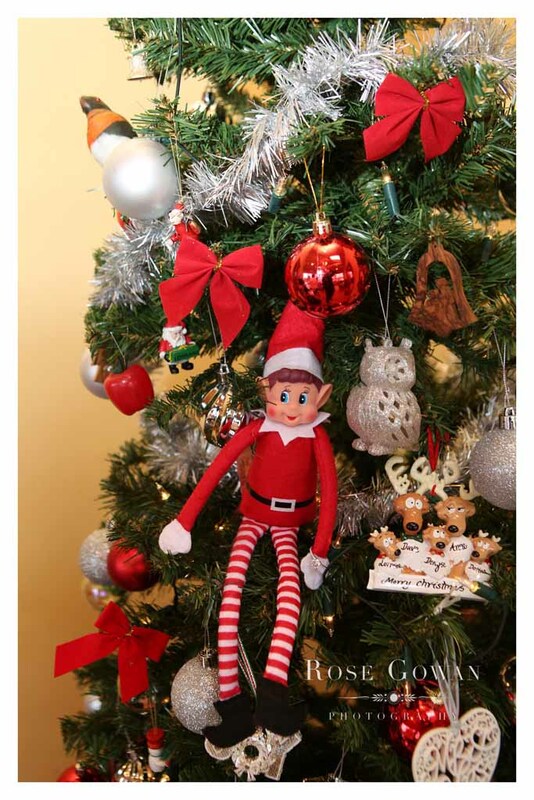 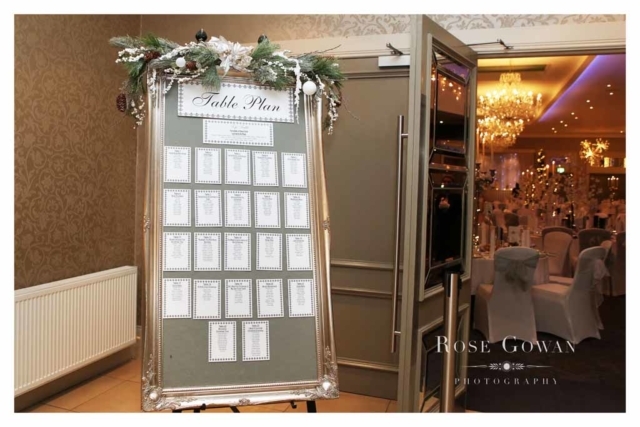 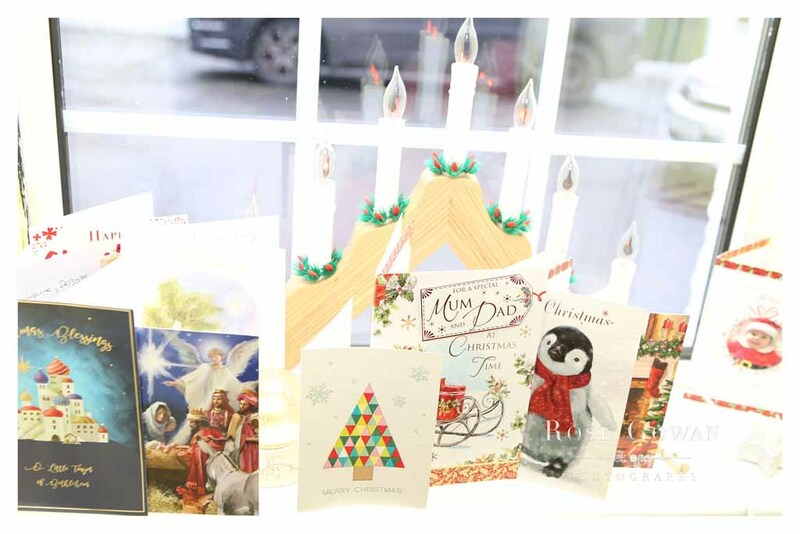 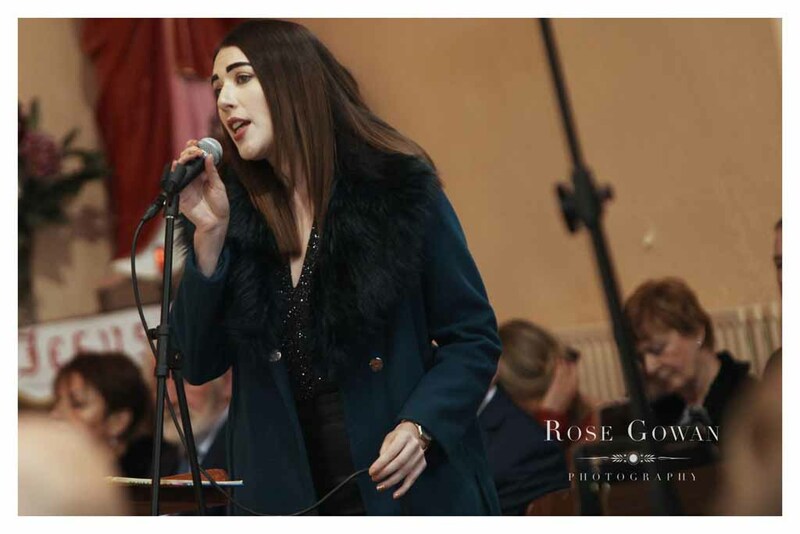 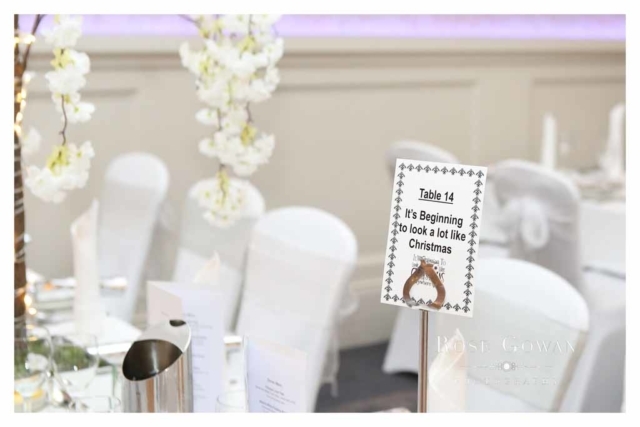 Many thanks to Lorraine for making her table plan out with Christmas songs – a good few of which may have appeared here.